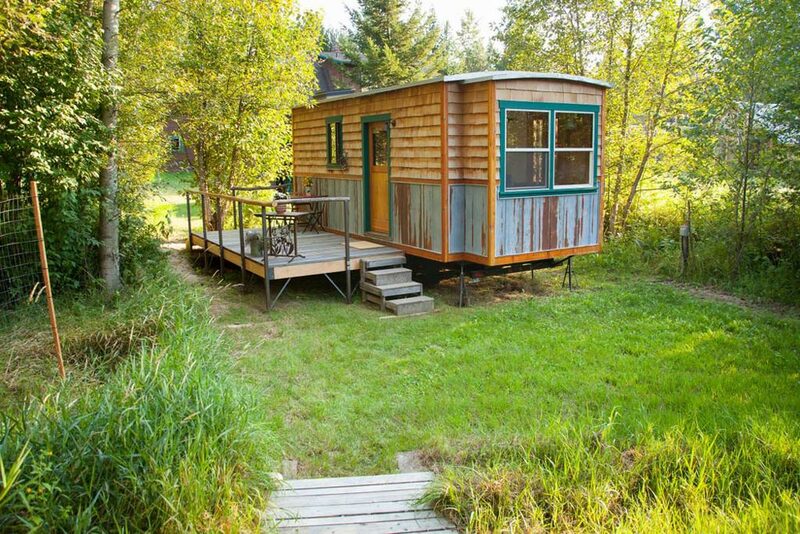 Located just outside Sandpoint, Idaho is the Garden Caravan Tiny House, a gypsy-style caravan available for nightly rental through Airbnb. 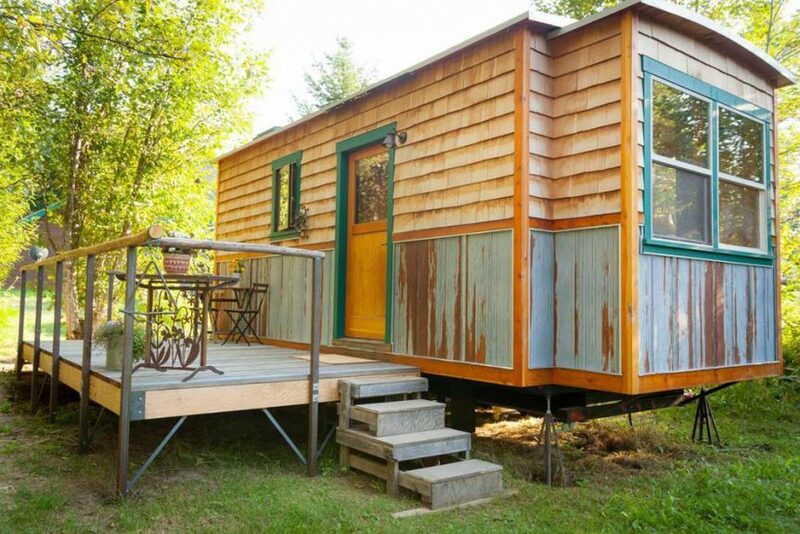 The 200-square-foot tiny house is parked in a lush corner of a five acre property with views of a pond. 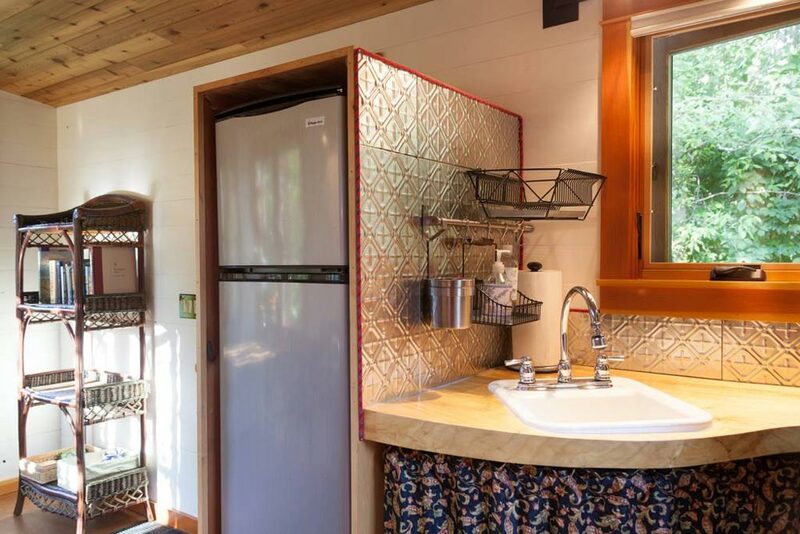 The 10’x20′ Garden Caravan was built by an experienced boat builder using many recycled materials and decorated with arts and crafts. 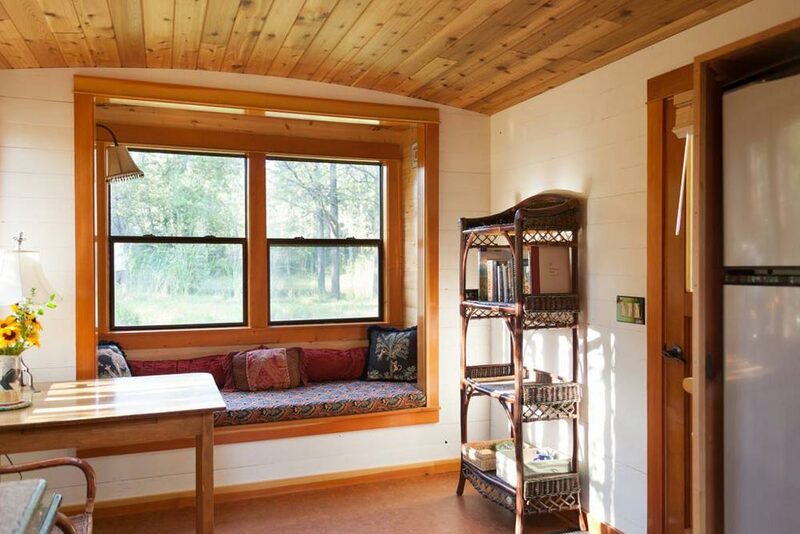 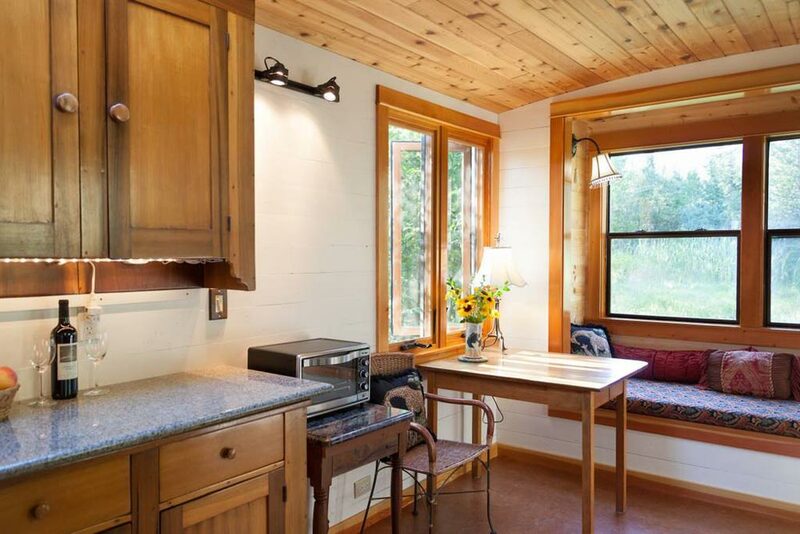 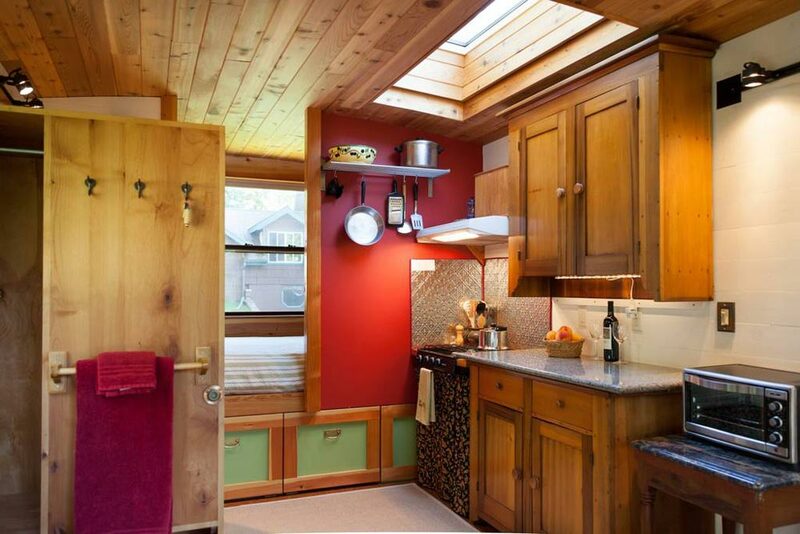 Large windows and a skylight help make the tiny house feel big and bright. 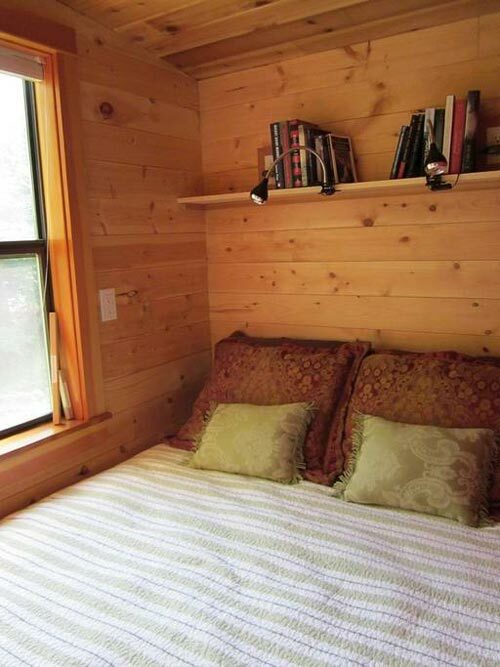 Inside, a queen size bed is located in its own private nook. 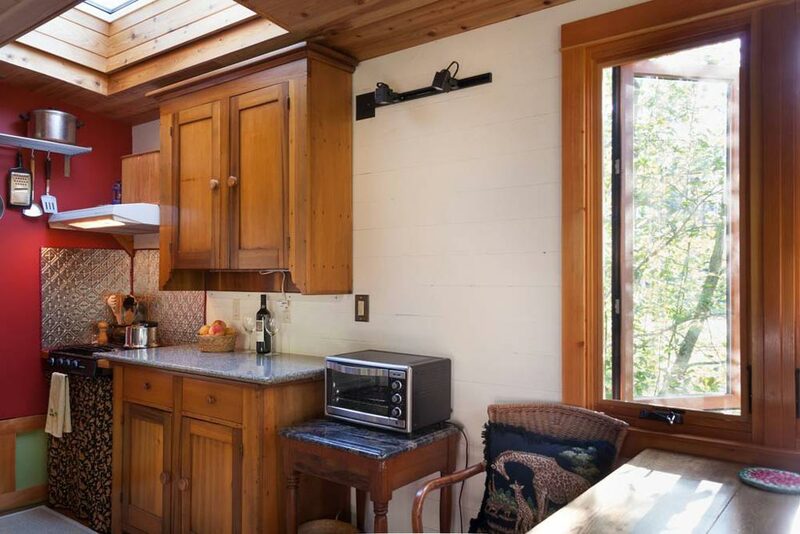 The kitchen includes a gas cooktop, refrigerator/freezer, toaster/convection oven, and sink. 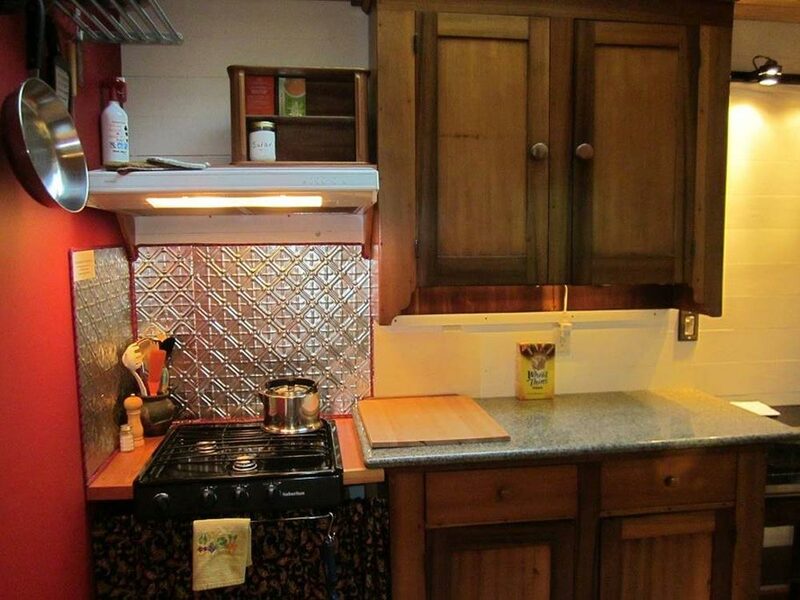 It is also fully stocked with pots, pans, coffee press, utensils, etc. 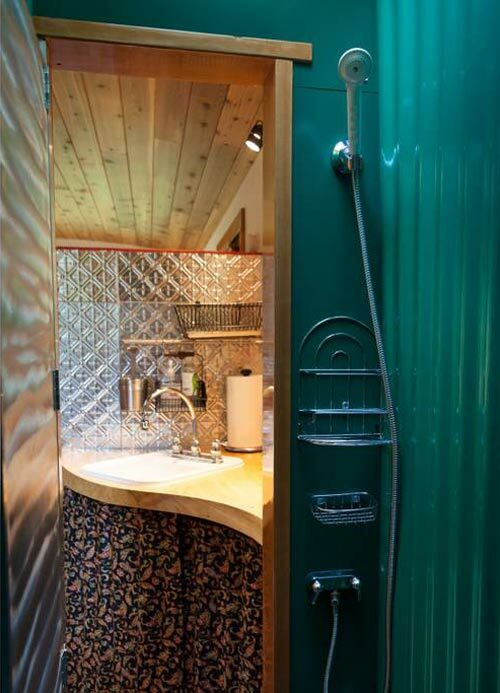 The wet bath has a water saver marine toilet and shower. 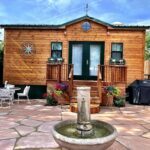 Nightly rates start at $75 USD. 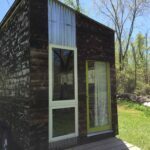 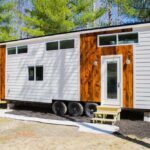 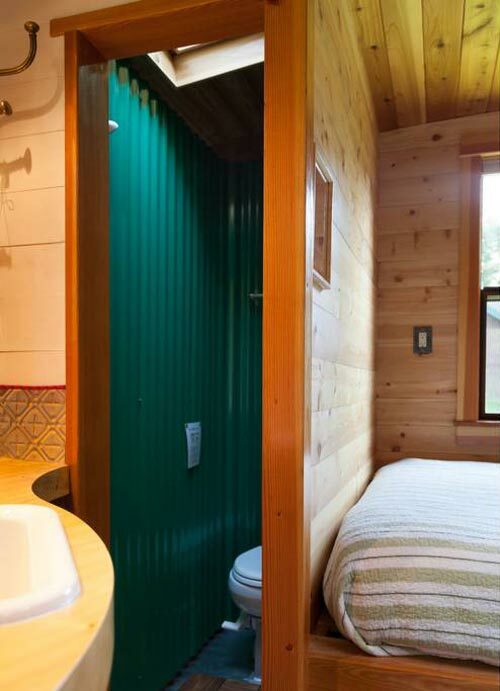 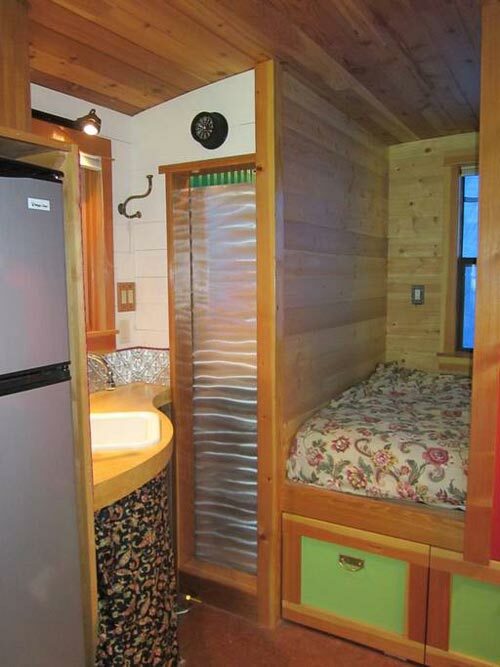 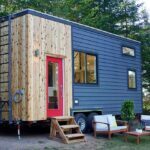 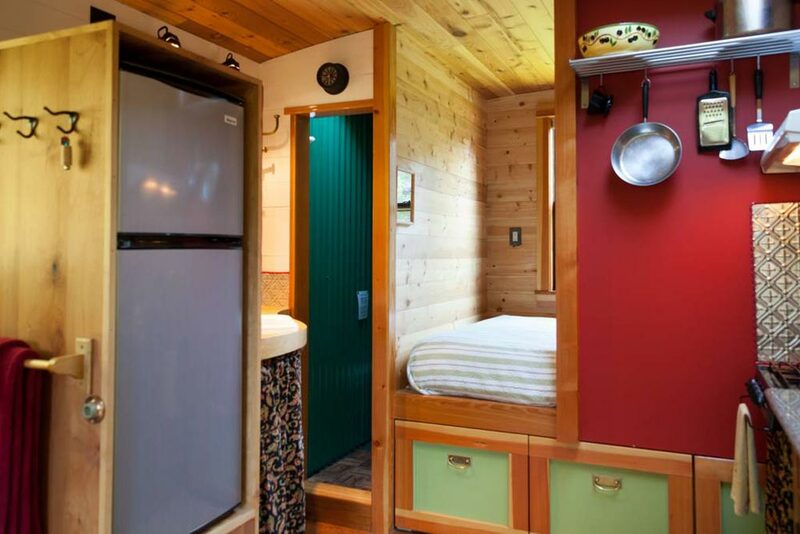 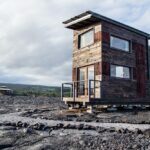 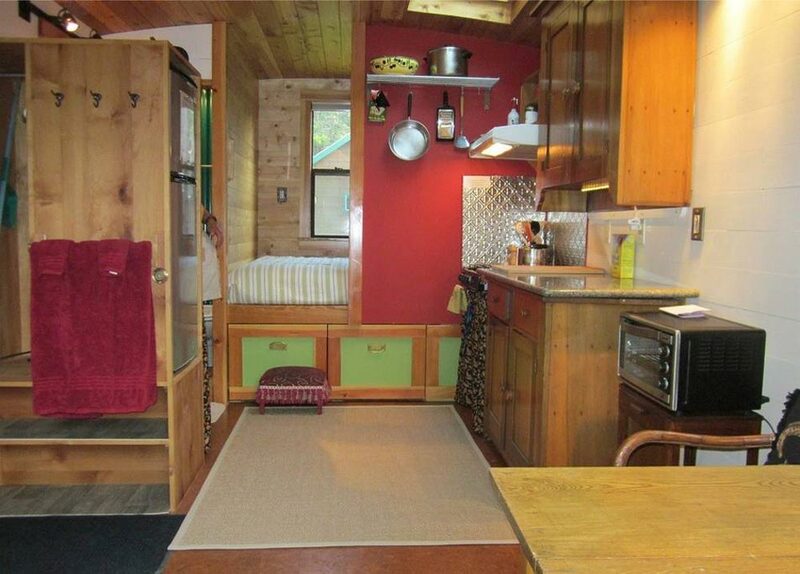 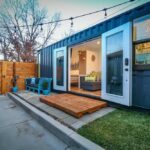 For availability and more information about the Garden Caravan Tiny House, you can visit their Airbnb listing.